All posts tagged with "happy times are hard-working times!" This update will go live to every Clockwork Empires player via Steam! 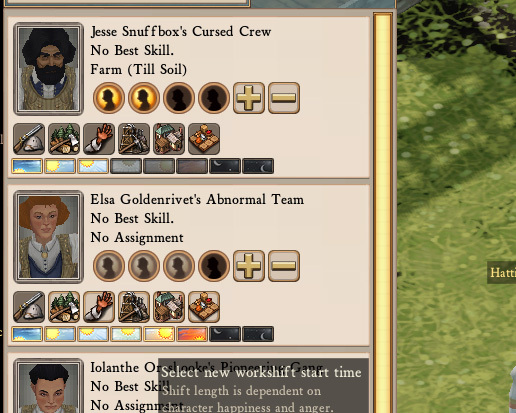 We have also updated our Clockwork Empires: Development Progress Report! It contains the voluminous annotated changelog. Happiness now matters. We’ve simplified the interaction loop that we were intending to place between character mood and work to give the player more direct control and feedback of how their work crews are doing. 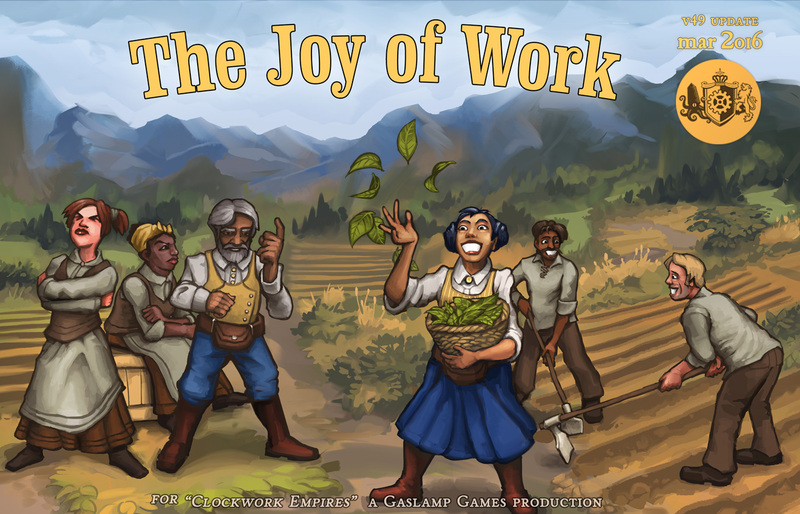 Whereas before Alpha 47C players could designate any given “hour” of the day as a work hour or an hour off, players now designate a single “start hour”, and the length of the shift the character will work is dependent on their level of happiness. Moving a work crew’s shift time causes the overseer to be less happy and more angry, and at a certain threshold of anger they will simply refuse to work, so overdoing micromanagement is discouraged. Why does Jesse Snuffbox have such a negative attitude when Elsa Goldenrivet is all smiles and hard work? Now you know!